Todd Eric Taylor, School Counselor at Lee High School was recognized as an Influential Educator by Tionna Martin, a current student at Arkansas Governor’s School and a senior at Lee High School. 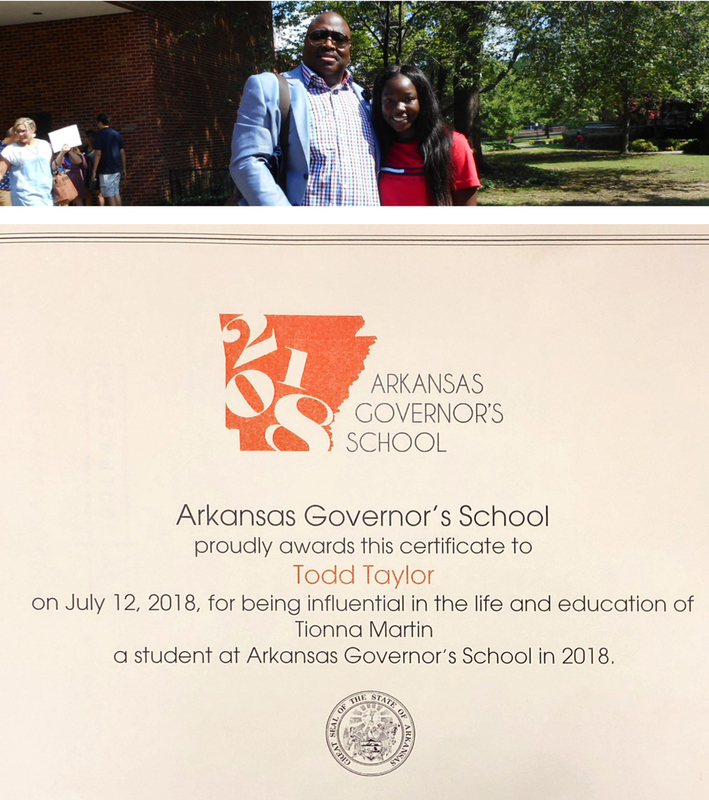 Recognition of this honor took place on July 12, 2018 during Educators’ Day at Arkansas Governor’s School held at Hendrix College in Conway, Arkansas. Influential educators from around the state of Arkansas were acknowledged and celebrated for the roles they play in shaping the lives of not only the gifted and talented, but all students. During the event, educators were provided with a glimpse into the Governor’s School experience by attending classes and eating lunch with students.